The Nissan brand has been exploring various facets of the new Nissan Titan pickup truck for months now, thanks to the Nissan Titan Truckumentary series. The latest chapter in the video series highlighted the Titan’s amazing and powerful powertrain, especially the new Nissan Titan’s Cummins diesel engine. That engine is an enormous 5.0-liter turbo diesel beast, and Cummins designed it just for the Titan XD trim. Here at James Ceranti Nissan, we can attest to the truth of that statement. The Nissan Titan has always felt like a pickup with boundless possibilities, and the 2016 Nissan Titan XD simply takes that up a notch. It doesn’t just stop with the engine, either, so come see us today to learn about the Titan’s design, interior, truck bed, and more. Also, make sure to check out all the Truckumentary videos online! The new Nissan LEAF is still a ways off, as early reports think it will hit the market as a 2017 model. However, several unnamed sources have stated that before we actually see the next-generation LEAF, the current model will receive a better battery option. 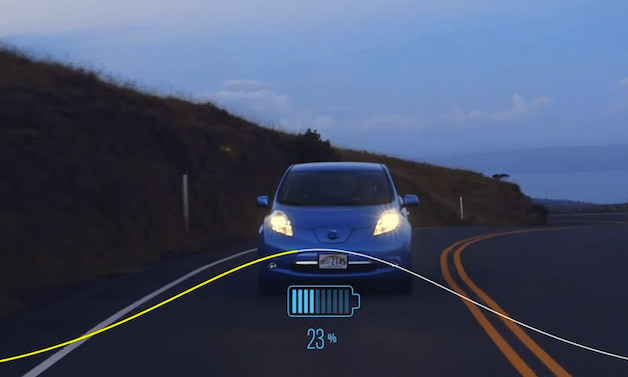 The updated Nissan Leaf would thus have a greater range and be more practical for even more customers. If the rumors are true, though, it means the updated LEAF would be powered by a 30-kilowatt-hour battery. The current model has a 24-kilowatt-hour battery which is good for an 84 mile range on single charge, but the new LEAF should be able to go 105 miles on a single charge instead. Come see us today to learn more or to check out the current LEAF model as well!